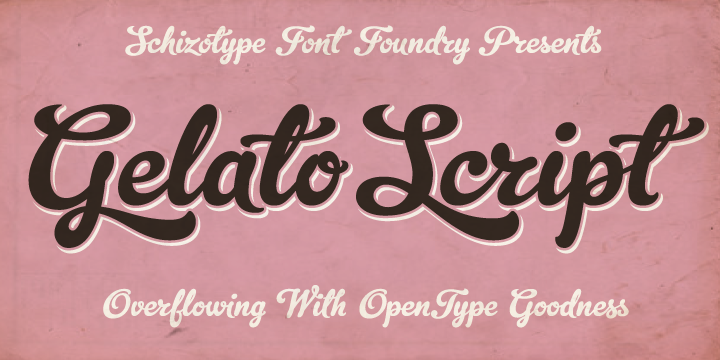 Gelato Script is known to be a smooth-flowing typeface that encompasses an air of fluency and familiarity. Inspired by formal scripts a well as mid-Twentieth Century hand lettering, the font is enthused with the dynamism of OpenType utilized with precision in the Contextual Alternate feature. This is to ensure connection of letters seamlessly. The T’s cross precisely where they need too and the swashes are flawless without a sign of crash into bordering glyphs. About 781 glyphs constitute this font.